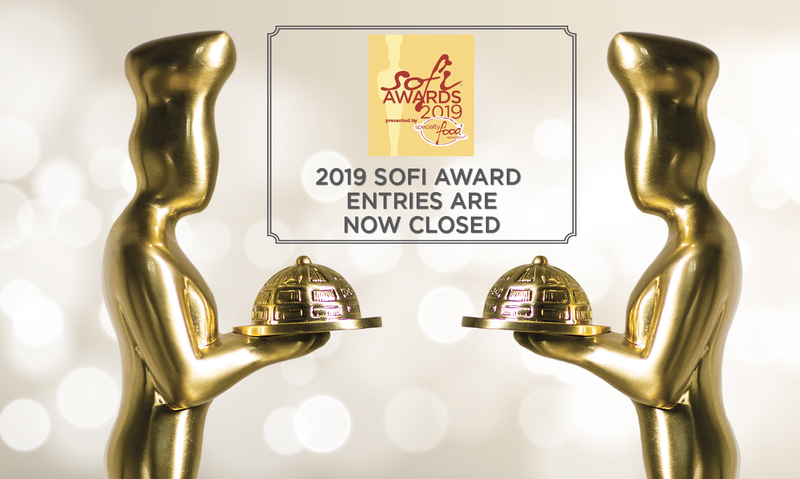 The 2019 sofi Award applications are now closed. Entries for the 2020 sofi Awards will be accepted beginning February 1, 2020. The Specialty Food Association’s sofi™ Awards have been honoring the best in specialty food for 45+ years. sofi™ Award honorees were selected through a blind tasting process and are true innovators in their categories. The sofi Award brings with it extra exposure to thousands of food buyers from top names in supermarkets, specialty retailers, foodservice, distributors, as well as the press. Winning a sofi Award isn’t just another trophy for your bookshelf – it’s a doorway to invaluable business opportunities and global recognition. Your products. Today’s tastemakers. One epic competition. Interested in last year’s winners? See them here. *This program is currently sold out. Since we won, our retail store footprint increased 740% in major markets with a 1200% increase in online sales. We had many companies seek us out specifically because of the Sofi award. It also put us on Oprah's radar and this product was chosen for the November O-List and published in O, The Oprah magazine. Recognition of our creativity, dedication to the industry and hard work to keep the consumer engaged. Winning a sofi is the highest reward you can receive and it validates everything you do every day. The sofi opened up a number of leads for us at the show. We had retailers, distributors, and buyers contacting us before the show started and seeking out our booth throughout the weekend. As we follow up on those leads, the importance of the sofi is shining through. It gave us legitimacy in the industry as a new company. It has been a tremendous honor to have won a SOFI award. We've met some potential buyers that would not have been available to us without the exposure and the SOFI team has been extraordinary. The sofi logo always grabs my attention. It means that a product has not only won over a slew of discerning palates, but that there's likely to be a great story behind it as well. We look to sofi Winners and Finalists because we know that they represent only the highest caliber of products. When evaluating new specialty foods to add to our tasting rooms, sofi Winners start at the top of the list—they are consistently in the top 10% of our bestselling specialty food items. A sofi Award is a solid endorsement of a product’s excellence. Our sales team is able to present these products to our customers with confidence that they are of superior quality and on trend. The sofi Awards are a great resource to find the newest & most innovative products in the industry. – Laura Granston, Research and Development Manager, Kings Food Markets, Inc. Applications for the 2019 sofi Awards open on February 1, 2019. The 2019 sofi Award entries will be judged via blind tasting at the Specialty Food Association offices in New York City. Celebrate the 2019 Winners at the Summer Fancy Food Show in New York.